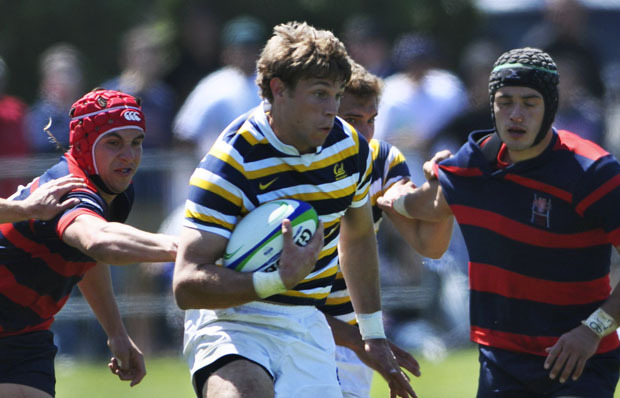 A young Cal rugby team will look to do its best to replicate a stellar 2011 season, which ultimately resulted in a 21-14 win over BYU for another national title. Every season, the ultimate goal for Cal rugby is to win yet another national championship. And while that remains true for the 2012 season, how the Bears will go about doing so remains to be determined. A year after winning the USAR Premier division national championship over BYU, Cal announced in December that it would be withdrawing from the division — just a year after its inception. The decision was based on multiple factors, but the timing of championship tournament appeared to be the tipping point. With their exit, the Bears follow Ivy League champions Dartmouth as well as LSU and Tennessee. Cal could meet up with those teams in May if the team chooses to compete for the old Division I national championship — which Clark has cited as a definite possibility. However, at this point in time Cal hasn’t decided on which route it will take in the 2012 postseason. But before they start thinking too far ahead of themselves, the Bears have some major growing up to do and will need to plug up some major holes. The Bears are coming off their second straight undefeated and untied season but will look to replace 15 graduated players, including six All-Americans and nearly two-thirds of the side that took down BYU in the national championship game. More than half of Cal’s 2012 roster is comprised of underclassman, including 17 freshmen, all of whom will be looking to show that they deserve a shot at filling the void left by last year’s departures. But the Bears won’t be citing youth as an excuse for unsatisfactory results. The Bears will also return three All-Americans, including senior prop Jeremy Deterding, who was key in winning a crucial scrum to seal Cal’s national title in 2011. “We always have a goal of constant improvement, and any drop off would be a big disappointment for this team,” senior Connor Ring said. While Clark will certainly look to keep on extending his team’s current 58 match win streak for standard 15’s, he’s more immediately concerned with getting the younger guys plenty of playing time and experience as quickly as possible. The schedule for 2012 is nearly the same as a year ago, including the annual home and away series with the University of British Colombia and a matchup with Utah in Salt Lake City. And if those younger players continue to improve and find ways to fill in the gaps, Cal could be poised to see similar, if not identical, results from 2011. While replicating what the team did in 2011 is somewhat of a daunting task, it’s certainly not out of the realm of possibility. It just remains to be seen as to what kind of road the Bears will take in their quest for a 27th national championship.